If we pay for a purchase with 50€, how does the seller ensure that the banknote is not a copy? A forger could use a similar paper and a similar ink getting an almost identical copy, but analyzing the banknote or using a false banknote detection system ,we could know with total security if it is original. And, in the digital world? How do we know if a file is a copy or is an original? We simply can not distinguish them, since the files would be exactly the same. Bitcoin or more exactly the Blockchain, allows us an unforgeable digital record, checking and recording in a file each transfer of coins, so that any fraud is avoided. 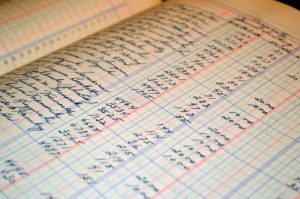 We can define the Blockchain as a public accounting book that is replicated in thousands of computers, whose owners are called miners and they are in charge of maintenance and security. When someone orders a transaction, it is sent to the entire network of miners who verify the authenticity of the transaction and once this is done then is recorded in this book. To be able to manipulate the blockchain, it would not be enough to hack a computer, it would be necessary to hack thousands of computers. There is talk that Bitcoin does not use an efficient technology, since for its operation and security it requires doing the same procedure thousands of times. This task consists in checking in the Blockchain, which is a public record, that the ordering Wallet has previously received the inputs that it is going to transfer and also verifies that those inputs have not been transferred since they were received. Once the verification is done, each miner writes down the operation in his personal notebook (block), where all the operations carried out in the last minutes are recorded and which is replicated with all the miners. Every 10 minutes approximately a miner is selected to add his personal block to the official list of blocks or Blockchain, thus keeping the public record updated. Once this is done, a new block is generated, where all the operations are recorded from the last validated block. Once a block has been validated and added to the Blockchain, the Bitcoins that have been exchanged can now be used. That is, a transaction is not validated until the block that contains it has been validated. Through this verification process it is guaranteed that the same Bitcoin is not spent more than once, something known as a double spending problem. Someone could perform two orders almost simultaneously. What would happen then taking into account that the operations are recorded every 10 minutes? All transactions before being confirmed go to a limbo state known as “Unconfirmed Transaction Pool” (UTP). If I make two orders almost simultaneously, the first one that has been selected in the UTP will be the one that is validated. If it were the case that a miner had noted one and another miner had noted other at the sametime for the same Bitcoins, in this case, both miners will compete to see which of the two operations will be registered. Register a block in the Blockchain is also known as resolving the block of transactions. When this happens, the miner who registered this new block, the system rewards it with “new” Bitcoins (coinbase is the term used for these rewards) and also receives “old” Bitcoins in the form of a fee or transaction, for the work done. These fees are decided by the person who executes the transaction. There is no minimum, nor a standard fee and it is not related in percentage with the amount of bitcoins that are transferred. Currently, transaction fees represent 0.5% or less of the income of a Bitcoin Miner, since today, their biggest source of income comes from the bitcoins they receive when completing a block. However, as these rewards will decrease over time, in the future the largest proportion of Bitcoin mining revenues will come from these commissions. 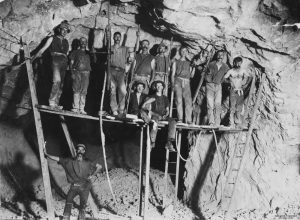 In a future article I will talk more in detail about the figure of the Miners. This is a living technology, I am learning a little more every day. Through these articles I try to transmit my knowledge with a simple language. I hope you enjoy reading as much as I have enjoyed researching and writing. I will be happy to read your comments, critiques or suggestions.